During the past presidential campaign, the Keystone XL Pipeline became a political football. Since that time, the pipeline’s planned route has been changed to avoid potential harm to the Ogallala Aquifer and is currently awaiting final approval from the State Department. Many Americans, however, are surprised to learn that the Keystone Pipeline already exists, transporting since 2010 590,000 barrels of “heavy” crude oil a day, 2,148 miles from the oil sands surrounding Hardisty, Alberta, Canada to Steele City, Nebraska and subsequently to holding facilities in Patoka and a ConocoPhillips refinery at Wood River, Illinois. 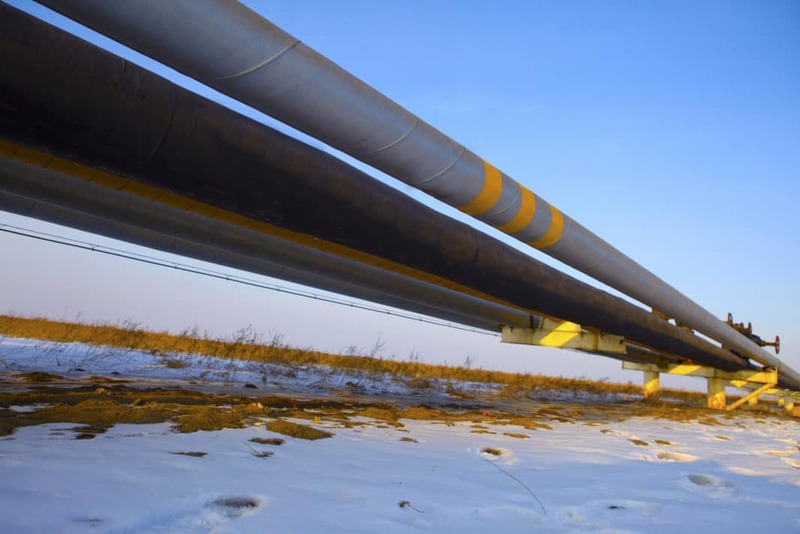 The Keystone, owned by TransCanada, is one of many crude oil pipelines currently crossing the border between the United States and Canada, including the Express and Enbridge lines. Two planned expansions of the Keystone XL Pipeline – a controversial 1,170-mile line through Baker, Montana to Steele City, Kansas and on to Cushing, Oklahoma, and a second 485 mile-line from Cushing to the Gulf Coast refineries in the Texas cities of Port Arthur and Houston – have launched political battles between Republicans and Democrats, environmentalists and “big oil,” and individual landowners and states exercising eminent domain rights. On March 22, 2012, President Obama announced his approval of the Cushing/Gulf Coast expansion and urged regulators to “fast-track” necessary approvals necessary to beginning construction. One year later, he announced that a decision on the northern section of the pipeline would be forthcoming. In his 2006 article “History of Energy” for The Franklin Institute, Dr. James Williams wrote that the “standard of living and quality of civilization are proportional to the quantity of energy a society uses.” As a consequence, societies will not willingly reduce the quantity of energy necessary to maintain their existing economies. The pursuit, acquisition, and protection of long-term, stable energy sources are fundamental to the United States’ economic and geographical security. From the dawn of the species, firewood (renewable biomass) provided the energy to heat our homes and cook food, gradually being replaced by fossilized fuels beginning with the Industrial Revolution. According to the International Energy Agency’s 2012 Key World Energy Statistics, carbon fuels continue to supply more than 90% of the world’s total energy consumption of 8,677 Mtoe (million tonnes of oil equivalent), or almost 14.1 trillion kilowatt hours. Coal, oil, and natural gas remain the primary source of energy for the world, providing two-thirds of the world’s energy today versus biofuels’ estimated 12.7%. The United States consumes about 20% of the world’s energy, with only about 4.5% of the world’s population. Trillions of dollars are invested in facilities and machines around the world that are dependent upon existing carbon fuels (coal, oil, and natural gas). These assets cannot be economically abandoned, nor easily converted to other energy sources. As a consequence, industrialized countries (including the United States) seek to gradually transition to more environmentally friendly energy sources while maximizing the efficiency of the carbon oxidation process and minimizing harmful emissions. At the same time, new sources of hydrocarbons, particularly oil, within U.S. borders and the North American continent, will continue to be sought, developed, and exploited for economic and geopolitical purposes. Oil and gas production from new horizontal drilling techniques and fracking technology may make the U.S. energy independent by 2020. The International Energy Agency predicted in November 2012 that the United States would replace Saudi Arabia as the world’s leading oil producer by the end of the decade. Some analysts believe that the United States will stop importing oil as a result of the new supplies. The northern extension of the XL Pipeline is needed to transport “light tight oil” from Montana and other western states in addition to the heavy crude oil of the tar sands of Athabasca. As the world price of oil has risen, unconventional sources of oil and natural gas have become economical. Approximately 1.7 million barrels per day of heavy crude oil was produced from the Athabasca oil sands in 2011, and production will increase in future years. The oil sands of Alberta account for 98% of Canada’s proven oil reserves (more than 188.7 billion barrels) – more than 30% of the GDP of Alberta – and generated more than $3 billion in royalties to the government in 2010 and 2011. Engineers project that the oil sands can sustain daily production of 2.5 million barrels for 186 years. 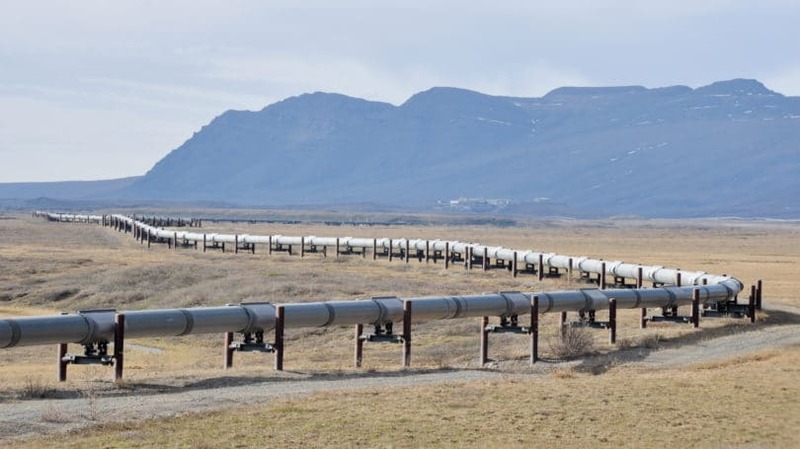 As a result of the delays in approval for the Keystone XL Pipeline, Canadian Prime Minister Stephen Harper has proposed an alternative pipeline within Canadian borders that would carry the oil from Alberta to the coast of British Columbia to be shipped by tankers to China. While domestic sources of petroleum have been rising, the need for energy is also increasing worldwide. Refining the tar sands oil within the United States for domestic use or export reinforces the economic cooperation between Canada and the United States while maintaining important options for the latter to direct the refined product to “friendly” allies. However, a Canadian pipeline to British Columbia as proposed by the Canadian Prime Minister eliminates potential oil resources and reduces United States influence. The proposed Keystone XL Pipeline will transport approximately 800,000 barrels of crude per day, roughly the equivalent of 3,750 tanker truck loads, delivering a load every 25 seconds around the clock, not including those trucks in transit to and from refineries over highways and bridges badly in need of repair and replacement. Some have advocated railroad tanker cars to transport the oil if the pipeline is not approved. While more expensive, railroads offer delivery flexibility not available with a pipeline, simply by redirecting trains to different terminals. However, replacing the XL Pipeline’s capacity would require ten 225-car trains per day (five loaded and five unloaded), not including those trains in transit traveling in some cases more than 1,000 miles between loading and unloading. Each train would be approximately two and a quarter miles in length and require five to six locomotives with corresponding emissions. Also, pipelines have a lower spill rate per barrel transported than either trains, trucks, or barges. Simply speaking, our global society is and has been raiding the larder of fossil fuels built up by nature over eons, releasing millions of tons of carbon dioxide (CO2) into the atmosphere and upsetting the balance between the carbon released into the atmosphere and carbon consumed from the atmosphere by photosynthesis. Additionally, the effect of an XL Pipeline spill could be devastating to an entire region of Canadians and Americans. The expanded pipeline would transport a carbon-rich crude oil and dilbit (diluted bitumen), which is potentially much more harmful to the environment if spills occur. The pipeline would come dangerously close to the Northern High Plains Aquifer system, a major drinking water source, and – since aquifers, unlike rivers, cannot be dredged or have oil removed – a spill here could dwarf the effects felt by pipeline spills in Montana’s Yellowstone River (2011) and Michigan’s Kalamazoo River (2010). And despite that pipeline spills are typically far smaller than spills related to barges or other methods of transport, they are much more frequent. In fact, 43% of the volume of all oil spills between 1980 and 2002 came from pipelines, according to the EPA. During that same time period, pipelines annually spilled 37 times as much as tankers, according to Dagmar Schmidt Etkin of Environmental Research Consulting. However, the opposition to the XL Pipeline ignores the political and economic reality of the role of carbon-based fuels in modern society. The tar sands oil will be produced by Canada regardless of how or if the product moves to the United States, thus the environmental effect upon the atmosphere will be unchanged by any decision about the pipeline extensions in the United States. Environmental efforts to reduce CO2 emissions would be more effective by advocating and instituting regulations that reduce emissions and speed the transition to alternate fuels. With approval of the Keystone XL Pipeline extensions, the financial assistance provided by the Federal Government to public/private partnership Carbon Capture & Sequestration (CCS) activities through the American Recovery and Reinvestment Act (AARA) should be maintained and increased. These projects are aimed at reducing and capturing emissions at their source and segregating the harmful CO2 from the atmosphere. Continued Development of Alternative “Non-Carbon” Energy Resources. These alternatives include wind, solar, tidal, and nuclear power. Collectively, these sources produce about 8% of the energy consumed today, with nuclear power providing the majority (6%). While the increased use of nuclear power will be slowed until it is considered safer and we understand how to store the radioactive waste, sun, wind, and water sources are non-polluting, renewable, and efficient. Unfortunately, technology has not yet developed economical methods of providing and distributing large-scale applications. Nevertheless, the European Photovoltaic Industry Association projects that solar energy could supply 26% of the world’s energy by 2040. Enhanced Fuel Conservation Activities. The Corporate Average Fuel Economy (CAFE) standards released by the Department of Transportation (DOT) and the Environmental Protection Agency (EPA) on August 28, 2012 require new cars and light trucks to average 54.5 miles per gallon by model-year 2025. This goal will almost double the fuel efficiency of vehicles today, saving consumers almost $1.7 trillion at the pump and reducing oil consumption by two million barrels per day. The political tendency in the past has been to relax standards when oil prices fell (1986-1988), ignoring the environmental impact of increased driving mileage. Neither the United States nor the world can continue that practice. Higher Standards for CO2 Emissions From Utility Plants. While many of the harmful emissions from burning coal (sulfur-dioxide and nitrogen-dioxide) can be controlled by existing technology, capturing and storing CO2 emissions is expensive and dependent upon the success of CCS efforts. Increasing the standards for carbon dioxide emissions would effectively force utilities to invest in research and technology and encourage a transition to a cleaner fossil fuel, natural gas, which is more abundant and cleaner environmentally to burn until alternative energy sources are available. Incentives for Energy Conservation. According to Amory Lovins, physicist, environmental scientist, and chairman of the Rocky Mountain Institute, conservation through proven building and industrial technologies – housing insulation, LED lighting, ultrasmart home appliances – pays back faster than new sources of supply, wastes far less energy, and would boost jobs and economic growth. Replacing the current tax incentives to the carbon fuel industry with individual incentives for conservation and clean fuels makes sense. Solving the environmental problem will require all of mankind’s ingenuity, creativity, and universal resolve to abate and eventually reverse the current levels of emissions before an unrecoverable disaster occurs. The stakes are high and the outcome remains uncertain. The Keystone XL Pipeline extensions make economic and environmental sense in view of the alternatives available today. At the same time, Americans and the rest of the world must pursue energy policies that allow the continued progress of every nation while reducing the threat of hardship, possibly extinction, to future generations. What do you think? Are you willing to accept the risks of nuclear power, for example, or a reduced living standard in order to save the planet?